Songs - SING IN THE HOLIDAYS; BECAUSE OF YOU (FOR OUR VETERANS & TROOPS); SNOW; SANTA, WHAT A GUY; O COME ALL YE FAITHFUL; WHAT'S IN THAT STOCKING? ; ODE TO THANKSGIVING; RED BIRD; THE DAY AFTER THANKSGIVING; CHRISTMAS NIGHT; FIESTA DE NAVIDAD; MENORAH GLOW; KEEP IT LIGHT; HARK, HEAR THE BELLS! ; A CANDLE GLOWING IN THE WINDOW; VARIATIONS ON AN ANCIENT CHRISTMAS ROUND (Low D, G, A, B, C, D. OPT. PT. 2 Low D, G, A, B, C, D. ALTO PT. G, B, C, D, G1). 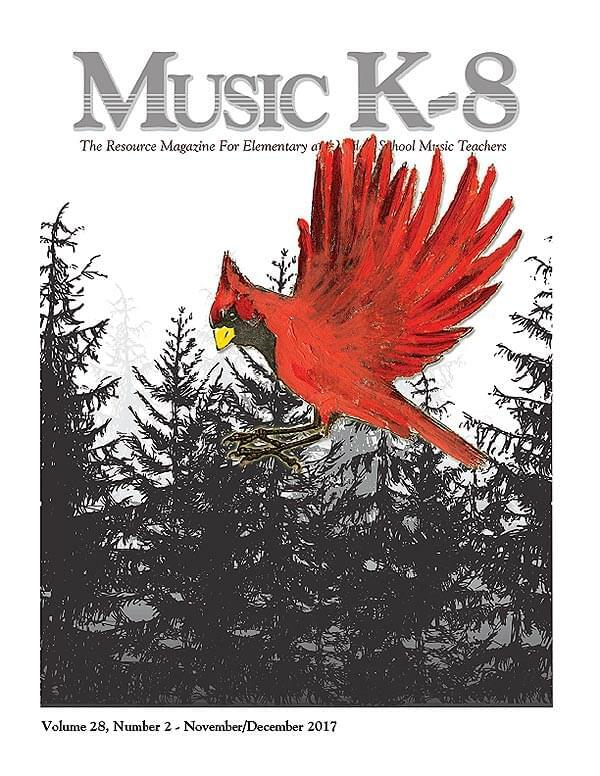 Articles - Network, About the Music in this Issue, Photo Journal, and more!